Alex graduated from American University in May 2012 with a degree in Political Science and Mathematics. That next month, he moved to Las Vegas to work with the Nevada Democratic Coordinated Campaign on the 2012 elections. After November, Alex recognized that the job wasn’t done with electing the right people to office. Alex began working with Grassroots Campaigns in June 2013 as an Assistant Canvass Director in the Washington, DC office. In the three years since, he has run a healthcare outreach campaign in Albuquerque, worked on the national recruitment team, and held the roles of Data Flow Administrator and National Administrator in the Central Administration department. 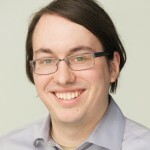 Among his other accomplishments, Alex has organized classroom-style trainings for over 200 entry-level staff, facilitated the opening of over a dozen new offices, and increased the company’s tablet computer fleet five-fold to allow all fundraising campaigns to be run paper-free. Grassroots Campaigns is a progressive organization that specializes in running face-to-face campaigns for political parties, candidates, and advocacy groups. We build membership bases and mobilize citizens for groups like the American Civil Liberties Union, the Democratic National Committee, the Nature Conservancy and Oxfam America. Grassroots Campaigns Inc. is an equal opportunity employer.